Valentino Rossi believes the Yamaha MotoGP team is no longer “lost” after completing the first pre-season test of 2019 at Sepang. Yamaha has made operational changes to its MotoGP programme after two disappointing campaigns, which included the appointment of a new project leader and the creation of a Europe-based test team led by former Tech3 rider Jonas Folger. Rossi finished only 10th overall after the three-day Sepang test, but said he felt “more optimistic” about the new-look Yamaha outfit. “For me the bigger thing that I’m happy [with] is that the team, the last two years we were a little bit lost,” Rossi said. “Yamaha worked, we tried something, but it was always, ‘We don’t know – better, worse, we don’t know’. “This time, we try something that improves [the bike], we try something that is worse but it’s like we have a direction. 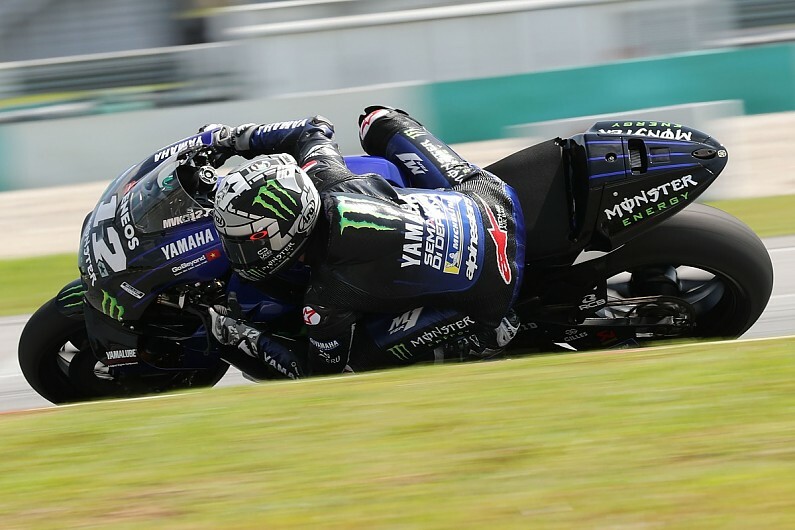 Team-mate Maverick Vinales offered a similar assessment, and said he though the Sepang test was the first during his time at Yamaha in which he could see consistent progress. “In these two years it’s the first test that we have gone steps ahead day by day, and that’s the most important thing – that day by day the bike was working pretty similar,” Vinales said. Vinales was quickest by more than half a second on the second day of the test, but was relegated to fifth overall on day three when he finished best of the rest behind the dominant Ducatis. Despite this, the Spaniard said he was satisfied with a “really good” race simulation, as well as improvements made to the acceleration of the M1 bike. “Last year they [Honda and Ducati] were some steps ahead, now we are getting closer,” he said. Rossi admitted his deficit to the leading bikes was “quite big” at Sepang, and stressed the need for Yamaha to keep working on its engine’s power delivery. “In the hot lap, we suffer a little bit,” he conceded. “On pace, it looks like we are a bit closer. “But I’m quite worried still, if we race tomorrow, I think that we will suffer because we have something else to improve.